After speaking to nutritionists, dermatologists, trainers and registered dietitians we’ve come to a conclusion…. First and foremost, HYDRATE! water, water and more water. Keeping the body hydrated will rid of toxins from the body. With proper hydration the skin contain its moisture. Next.. antioxidants. A diet rich in antioxidants and bright leafy greens will help your skin’s elasticity and help stop the oxidation process and block the effects of free radicals. Okay on to the next! EXERCISE… yes I said it. 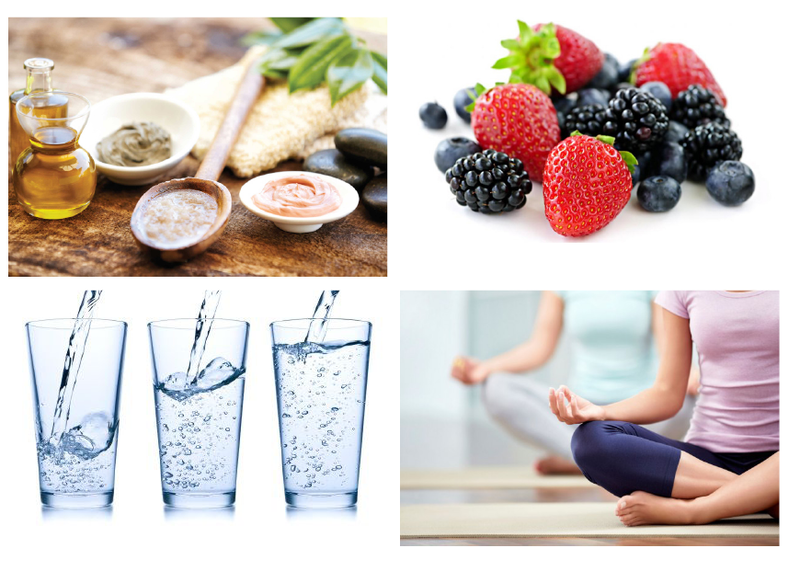 Try yoga, pilates, hiking, biking, anything that makes your body feel energized and stimulated. Physical activity releases anxiety in turn reducing the risk of breakouts. We’ve targeted the internal, now the skin needs external attention too! Exfoliate your skin, a routine skincare regimen is important. Make sure to do research on beauty products to make sure they are right for you. Non-comedogenic make-up, no added fragrances and natural products are always a plus. Don’t try new products a couple days before your wedding. These are steps you should take 2-3 months prior to train your body. These are all tips you can use to feel and look your best for the BIG Day! What can we say… This lovely couple of ours tied the knot two years ago and just welcomed their first bundle of joy into the world not too long ago. From Engagement party, to wedding, to bridal shower to baby shower all of these events were beyond fabulous. Our couple and their families are amazing people and together they know how to celebrate! Exuding with joy and touching everyone with their happiness. Their baby shower was detailed to perfection and harmoniously tied together the gentleness of a baby girl. Customized favors, blush pink peonies, al fresco dining, signature pink lemonade spritzers and the list goes on. Welcome to the world sweet baby! Crisp Spring air, long sunny days and the sight of the summer heat gradually nearing. Here were are in Spring but yet Summer is a month away. Usually, we tare compelled to go straight towards summer colors but this specific time of year has its own beautiful hues that accentuate and deeply connect to this transitional time of year. 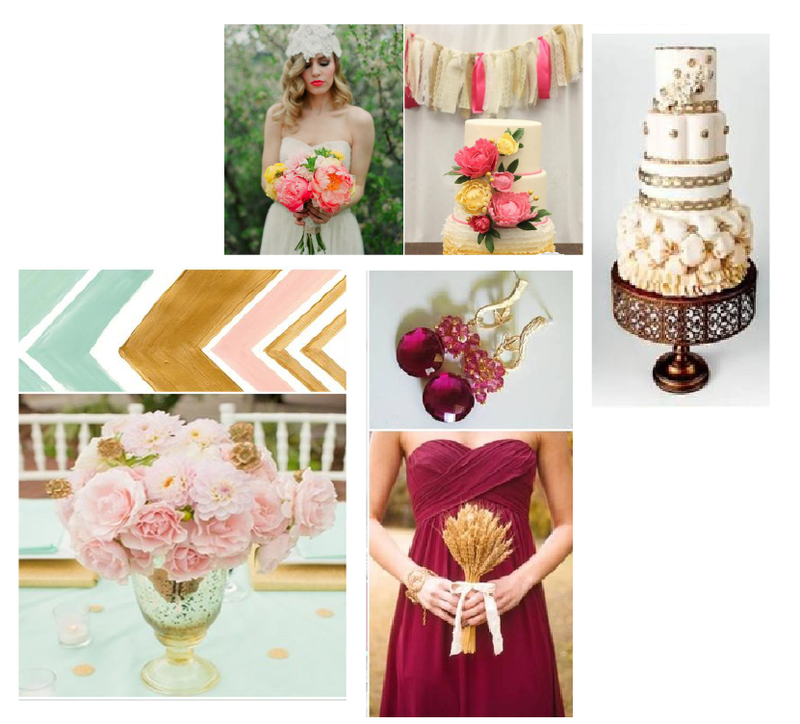 So here it is… an ethereal mix of understated brights and pale pastels. Floral art and tropical landscapes are trending now as we head towards warmer months. It’s time to step out of the winter cool hues and dive into reinvented color choices. Soft and warm hues blend beautifully together for any occasion. Whether one is dressing for a social function, designing arrangements for an event or selecting a color scheme for a grand affair. These colors will definitely help accentuate and fine tune in accordance with the beautiful seasonal transitions. Alright go out there, mix & match! Of course it’s given that we love to plan events. And of course specifically, we love to plan Weddings…but the true icing on top of that big beautiful decadent chocolate cake is when our former brides tell us they have a baby on the way… oh what delightful news that is! It’s amazing to be a part of such significant milestones in people’s lives that have become dear friends over time. Such a blessing! That is exactly the news we received on a bright sunny morning one day from one of our dear friends and former brides. We were a part of the beautiful planning of her grand wedding and now a part of her baby shower. So blessed to be a part of these significant days with her and her amazing family! 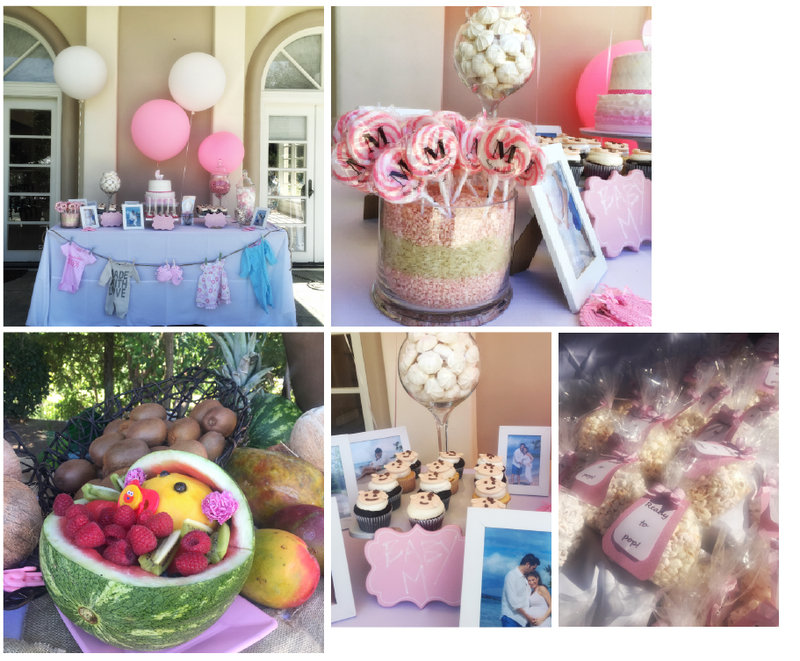 Her baby shower was so beautiful; adorned with intricate details, graceful hints of blush pink, light green and white; All the flowers, decorations and signature pieces were seamlessly tied together creating such an amazing event. We are so excited for the baby to come! Congrats to our sweet friend, we are so happy for you and your growing family! 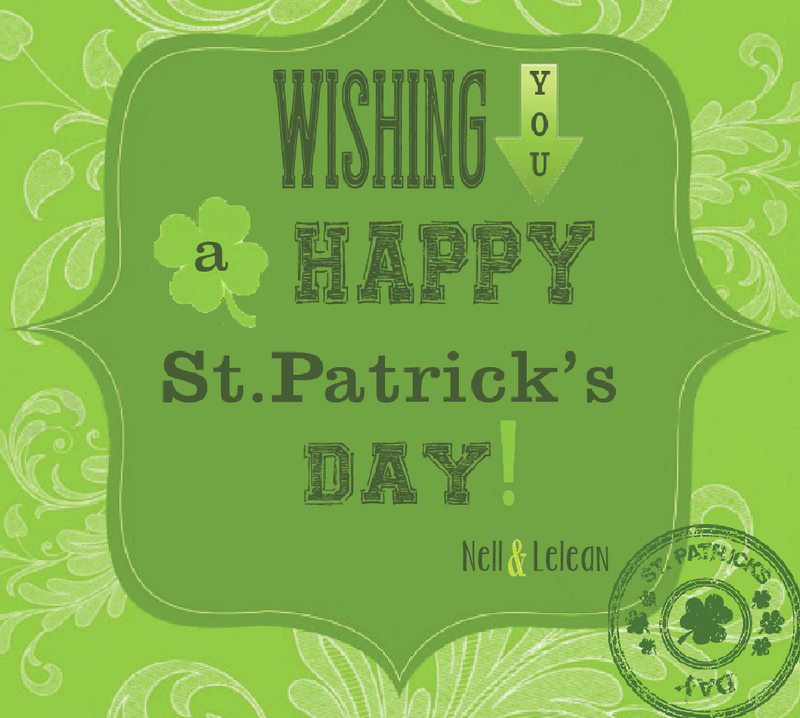 The New Day, first day of spring and a beautiful celebration filled with rich customs, rituals and festivities. 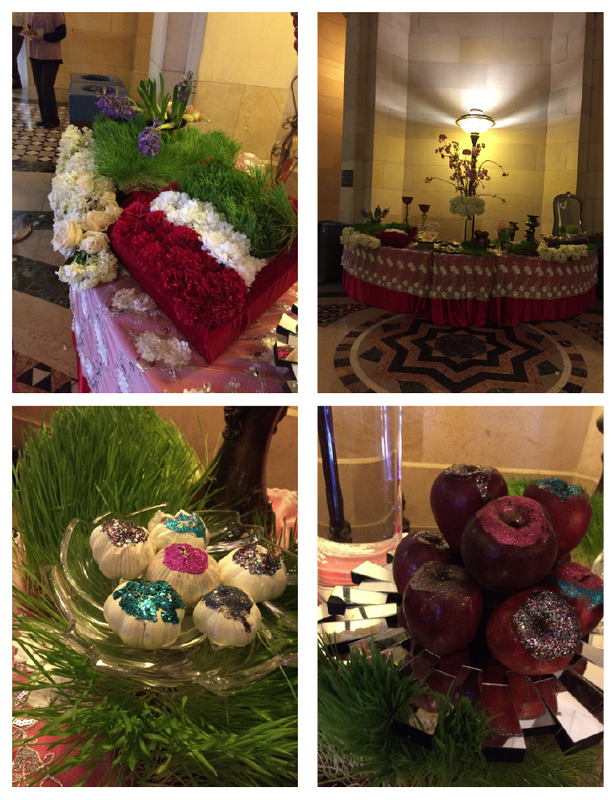 A ceremonial tradition for Norouz is the Haft Seen or a seven seen. This ceremonial table is called cloth of seven dishes, (each one beginning with the Persian letter cinn). Below you can find all of the items that complete the Haft Seen. Sabzeh or sprouts, usually wheat or lentil symbolizing rebirth. Samanu a sweet pudding representing affluence. Sib, apple and representing health & beauty. Senjed the sweet, dry fruit of the Lotus tree representing love. Sir, garlic in Farsi, represents medicine. Somaq from the sumac fruit represent the color of the sunrise. Serkeh or vinegar represents age and patience. Sonbol, the hyacinth flower representing the beautiful blooming of spring. Ayneh, a mirror resembling the sky. Tokmeh Morgh, eggs resembling fertility. Wishing everyone a very Happy Norouz! May you have a healthy, happy and prosperous New Year!